I’ve gotten lazy on this one, and the last speed test was posted on the blog in 2013. 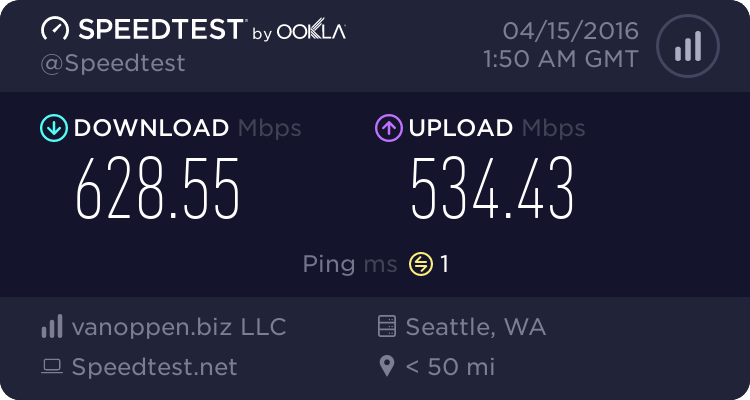 I’m in heaven compared to the old days with Comcast where I was paying more and getting at best 1/4 of the speed. This entry was posted in Technology on April 14, 2016 by Trevin.